I got fed up of my Davinci 1.1 plus and all the little things that stopped me doing what I wanted. 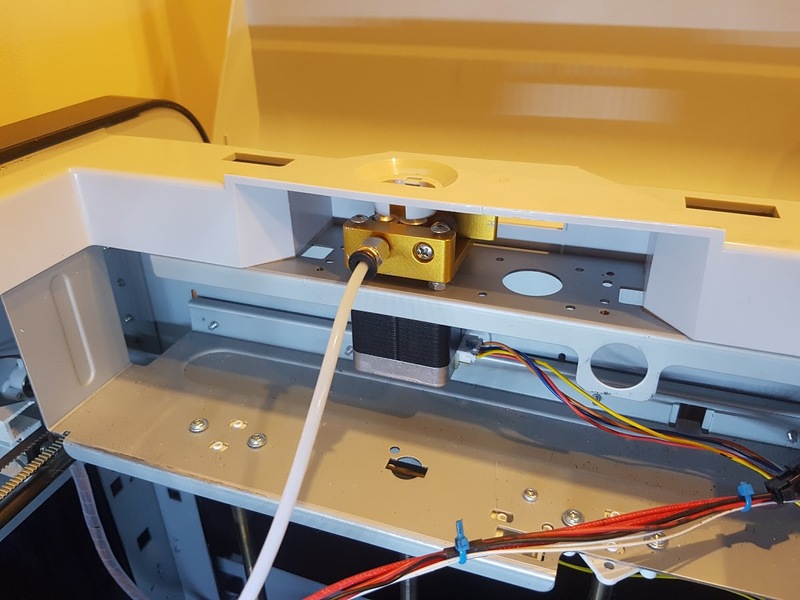 Some of the things like having to reset the filament chip / Lid open sensor / stopping because it 'thinks' its out of filament. 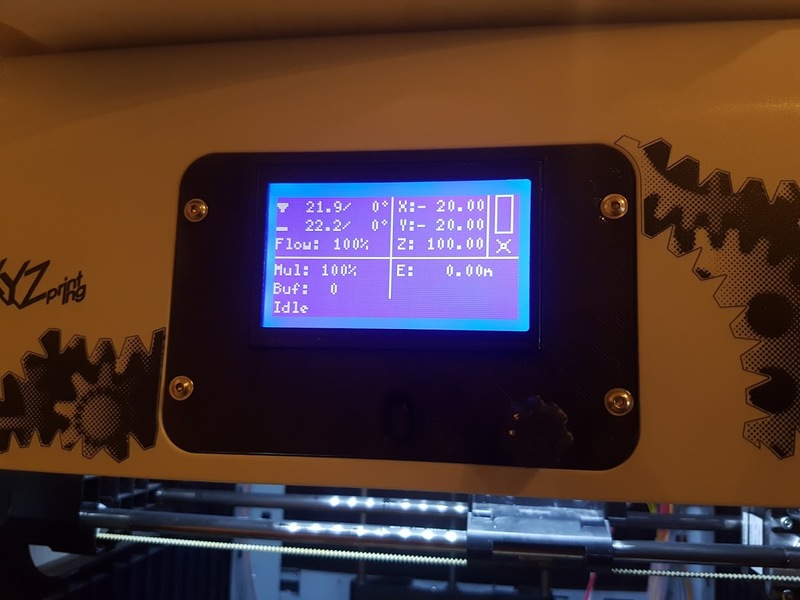 Not printing PLA.. nasty software with not very good prints and no way to tweak things.. So I came to the conclusion that the only way forward was to rip out all the electronics and start again. Below might not be the best way of doing things, but it's they way I did it to overcome the limitations I hated so much. So.. the board I installed was the ramps 1.4 / Mega 2560 / LCD etc.. the full kit comes to about £30 delivered. I did however need to extend the ribbon leads to the front of the machine. I'm not sure if doing this stopped the SD card reader from working (length of cables) but I've not really been bothered to work out why.. BUT the small micro sd card reader that's built into the back of the lcd doesn't work on my printer.. I just print direct via usb. 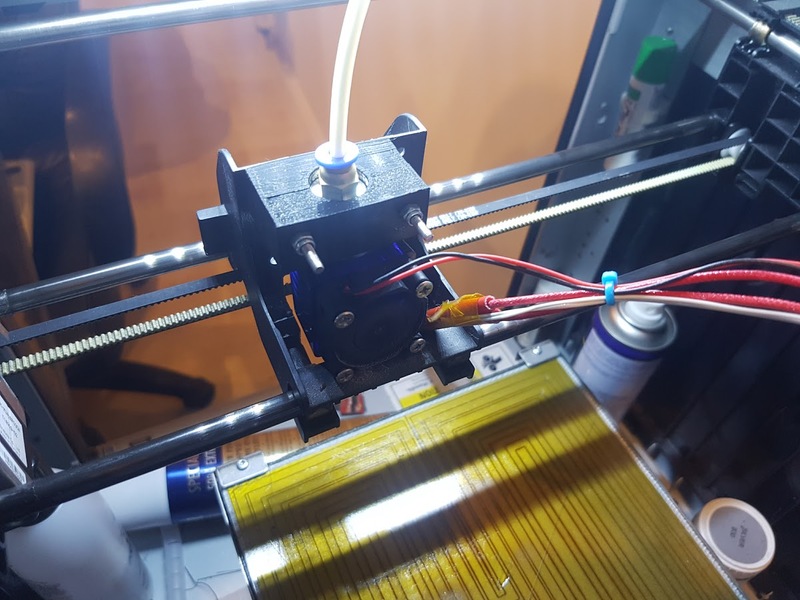 The other thing I did was buy a mk8 Bowden Extruder Wire feeder.. as I wanted to replace the original extruder.. this was £10.00. 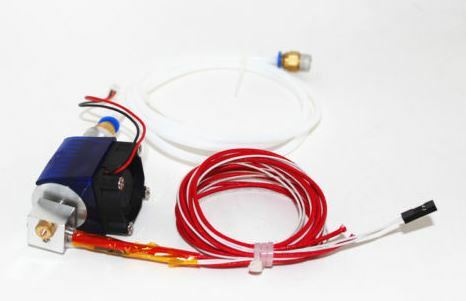 And finally I purchased a new hotend.. this was about £10. The next thing I did was strip out all the wiring.. led strip (fitted my own), opto sensors (couldn't get them to work), touch screen, boards, cameras etc.. The whole lot went. I also removed the extruder assembly too. I already had some microswitchs for the end stops so I worked out where to put them which is shown in the three photos below ( X / Y / Z order).. You just need to take two wires back to the ramps board. I had plenty of wire left over from all the stuff I ripped out. I used the original 12v power supply to the new ramps board. I had to replace the bed thermistor which was quite easy, I just sandwiched it like the other one was. Finally I installed a new LED strip at the top as I couldnt get the original one working.. extended the LCD ribbon cables and made a nice frame for it all at the front. 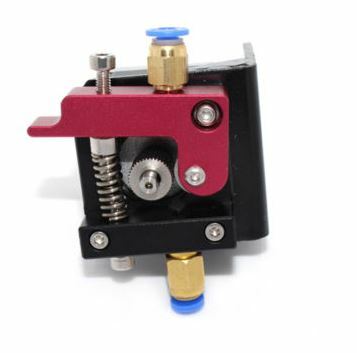 Sadly the only STL's I can find are the bowden extruder holder.. this is attached below. Just an update.. 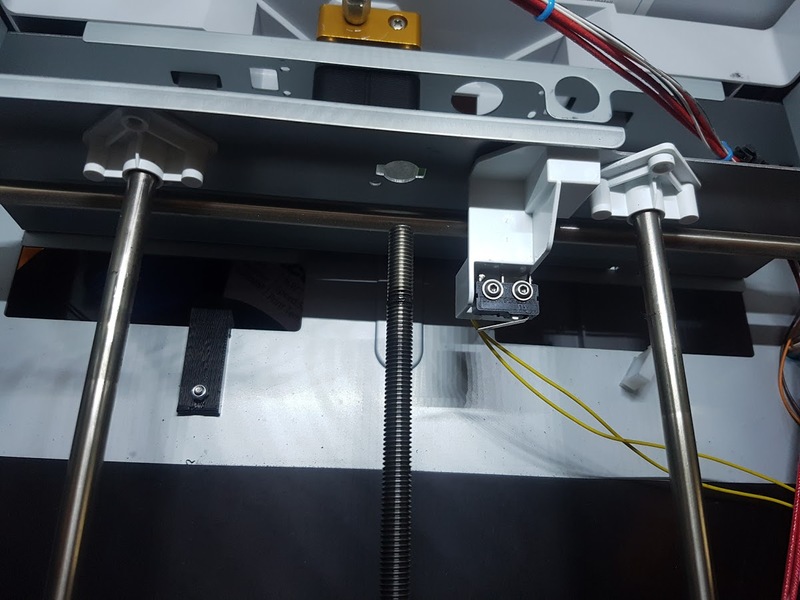 I've designed up a new x carriage to hold the E3D hotend and going to try and add a self-leveling sensor. It uses 4 x LM8UU and 4 tie wraps to hold them in place. You will also need 2 off 3x45mm screws to hold the E3D end. Pictures and files attached. The STL's have been rotated ready to print. Great work. Many thanks for sharing. Would it be possible to alter the carriage to accept 8mm bearings? I sell Igus polymer bearings and would love to fit them to my 1.0A. Do you have any plans to change the other carriages? Infact the igus bearing is the better option as you would reduce shaft damage from the ones I'm using. Yeah, I've been looking at the others.. but at the moment they don't seem too bad. I dare say the time will come then I need to upgrade them. 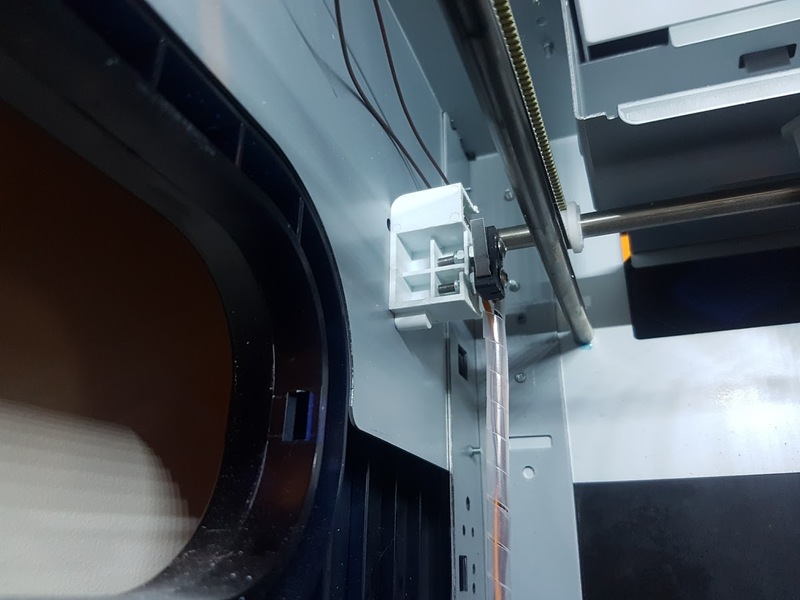 Just printing the carriage at 0.2mm at the moment.. it's just started to slightly lift, will have to see if it holds out! 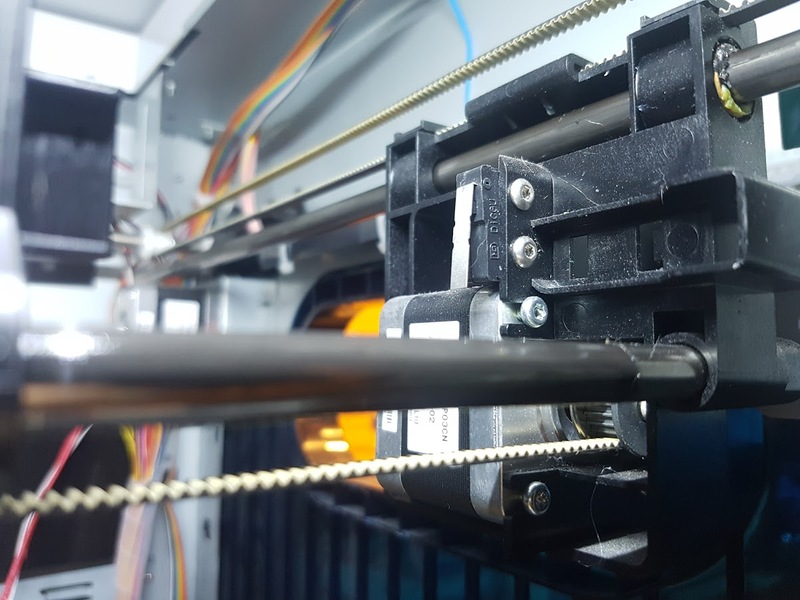 The thread used a nylon (in fact, a fishing line for the trimmer), at first they walked tightly along the guides, but eventually got stuck, the printer became quieter. A lot of people bought the RJMP model bearings by mistake. They are 16mm in circumference and not a 'drop in' for the LM8UUs. People hammered them into bearing carriers and found they gripped like glue to the rods, because of being overly compressed (on some cheap bearing carriers they got away with it because the tolerances were not great.). Printed bearings work if you can get tight tolerances but they still do not have the properties that polymer bearings have. They are normally a mixture of two or more plastics that give you the low coefficient of friction, long life and self lubricating properties needed.